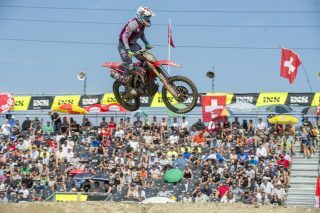 Another glorious weekend of sunshine and great racing took place at Frauenfeld in Switzerland, with Mathys Boisrame, Steven Clarke and Hunter Lawrence proving once again that they are highly competitive in their respective classes. 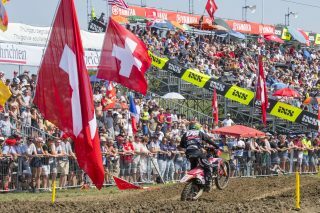 After a thunderstorm on Friday night, the track rutted up quite nicely, making things very difficult for all the riders but with another excellent Swiss crowd watching, Boisrame took the win in the EMX250 series while Lawrence returned to the podium to once again. 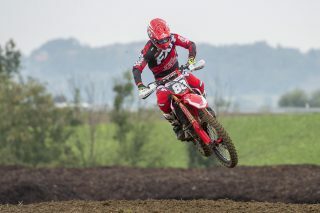 Steven Clarke also joined Boisrame on the podium as the Honda CRF250R showed its strength by going first and second in this extremely competitive class. 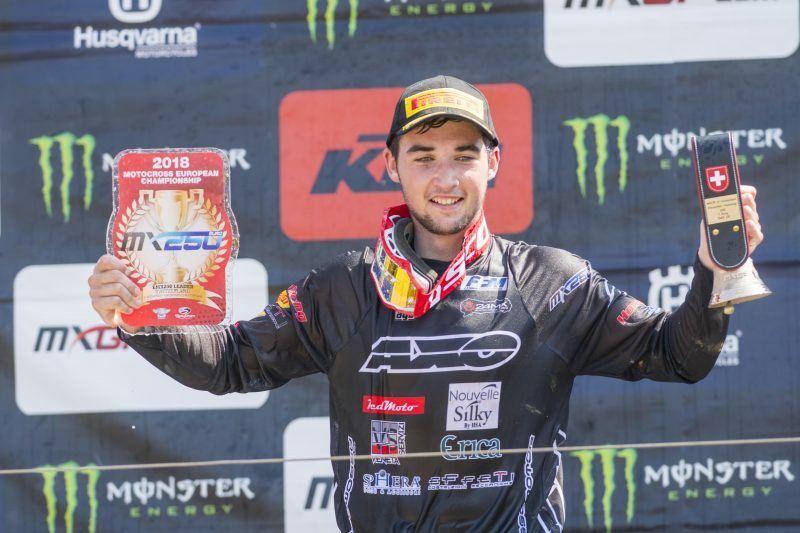 After a tricky weekend in the Belgian sand at the last round, Team Assomotor’s Mathys Boisrame returned to race-winning form in Switzerland. 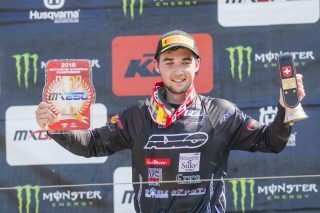 A couple of mistakes cost him the chance to win the first race, but he wasn’t to be denied in a race two and his speed was rewarded with a fifth race win and fourth overall victory of what is an extremely successful EMX250 season. 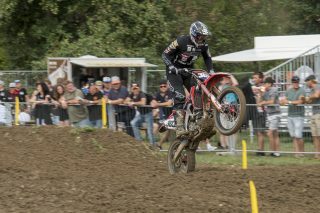 The young French rider has bonded extremely well with his new 2018 Honda CRF250R and the pair have proved unstoppable at times, with the second race another example of just how fast they can go together. 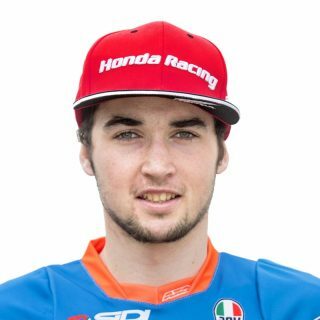 With just two rounds remaining in the championship, Boisrame leads by 18 points now and if he rides like he does here, could quite easily wrap up the title early. 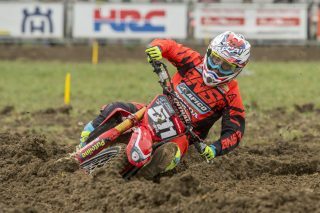 For Apico Factory Racing Honda’s Steven Clarke, it was good to see him put in two consistent motos and get back on the podium after an absence of three rounds. The English rider is now just 27 points away from third place in the championship, which will be a great result and fully deserved. After a weekend off last weekend, the series now heads straight to Bulgaria, where the impressive Sevlievo circuit makes it return to world championship action. An old school facility set in the hills of central Bulgaria, this hard-pack track should once again provide another different test for the all the riders, but after this weekend’s results, they should head there with renewed confidence and the excitement of another opportunity to put in a good result. I am very happy with how the weekend went. Yesterday I was fast, but I made some mistakes which I think cost me the chance of a win, however today I rode really well and got the race win and overall and extended my lead in the championship to 18 points. 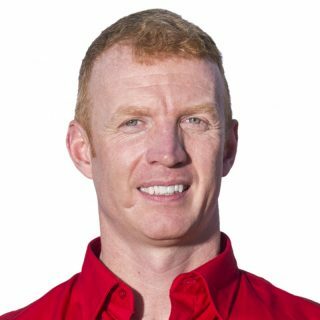 I would really like to thank my team who have helped me setup mu Honda CRF250R really well and allowed me to ride so fast in these difficult conditions. 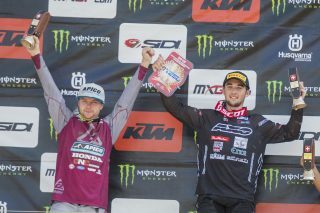 It was fantastic for the EMX class to have a one-two in the race and the overall, with Mathys Boisrame and Steven Clarke both riding exceptionally well. Two crashes yesterday when running second and then third denied Mathys a chance at a one-one performance, as he eventually ended up fourth. He did set the fastest lap of the race though and the speed was definitely good enough to win that race but unfortunately those crashes ruined that opportunity. However his Sunday performance made amends and was a much better example of his skills and race management as it allowed him to win the second race and take the overall victory. He has now extended his lead in the championship to 18 points which is great and really positive to see with just two rounds remaining. It was also fantastic to see Clarke up on the podium in second place, making it that one-two and something that he fully deserved. 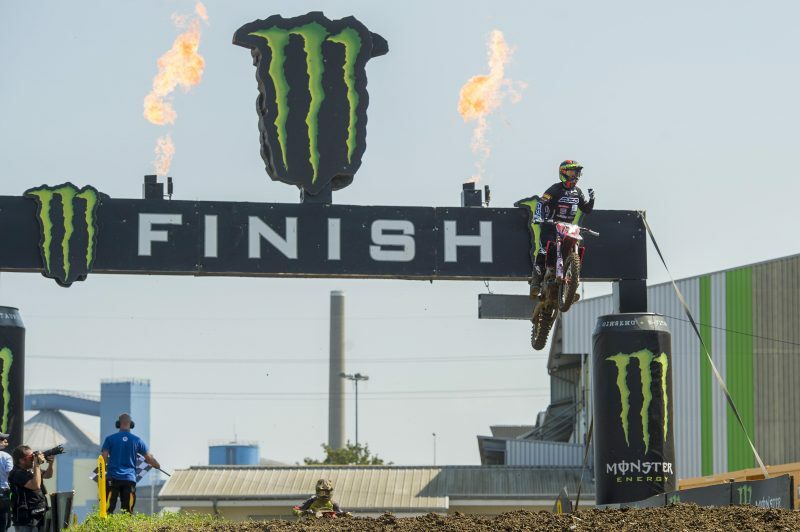 I think we showed great speed and great performances from the bike in all of the categories and I really enjoyed seeing podium finishes from Mathys Boisrame, Steven Clarke and Hunter Lawrence. I’m really happy and looking forward to this confidence carrying through to next weekend in Bulgaria.